My daughter-in-law has the mistaken idea that I am a bit of a gardener. I am not. I just have a lot more time on my hands and more money than she does. She was helping me move something on my back patio the other day and she said: "Gosh, even your weeds are pretty." These are coleus seeds from a tropical plant that I had in a pot and that amazingly wintered over! not a gardener? you could have fooled me. 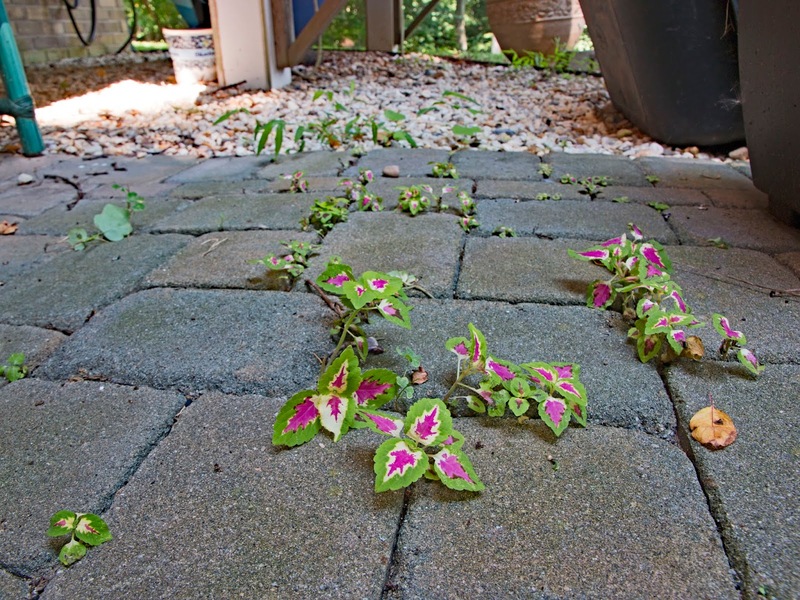 Very pretty, but if in between your patio blocks, they are weeds. She’s right! Far prettier than mine! Cool! We hae little violas coming up in our patio gaps, self sown from pots, I guess. 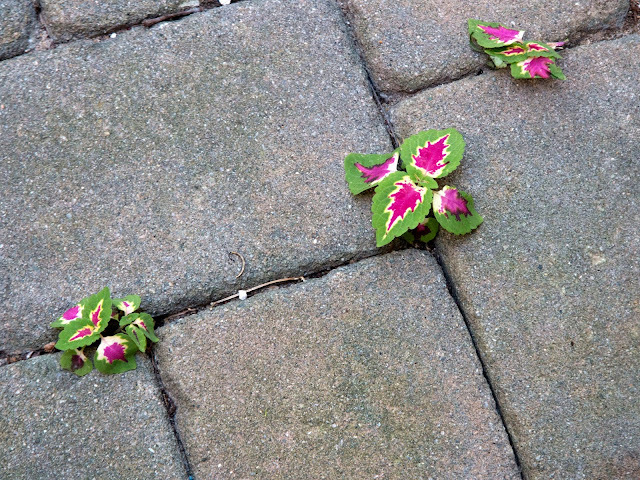 That's fairly common, but coleus, not so much. Pretty littlw plants and a lot hardier than I would have imagined. And those weeds are well placed to make them look attractive!!! Weeds should be so lovely ! I envy your your weeds, Tabor, coleus does not overwinter this far north. If we didn't have such a cold climate, there would also be more roses! Having said that, there is no other place I would rather be.